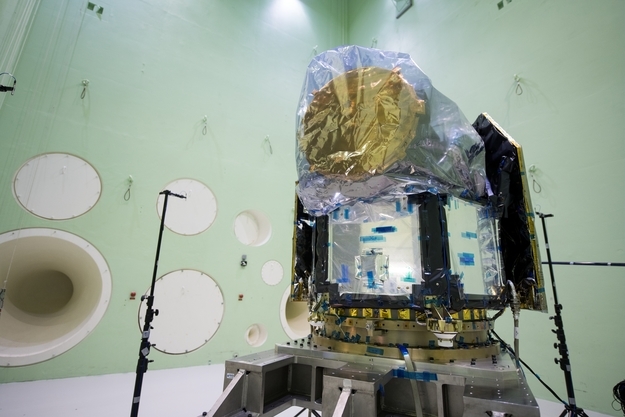 The Large European Acoustic Facility (LEAF) at ESA's technical centre in the Netherlands. Here CHEOPS is seen in an elevated position for acoustic noise testing. Black stands hold microphones for monitoring sound pressure around and beneath the satellite. The far wall is fitted with white, circular noise horns whose diameters correspond to the wavelength of the sound frequencies that they generate.